Radians and Degrees are two ways of measuring angles. 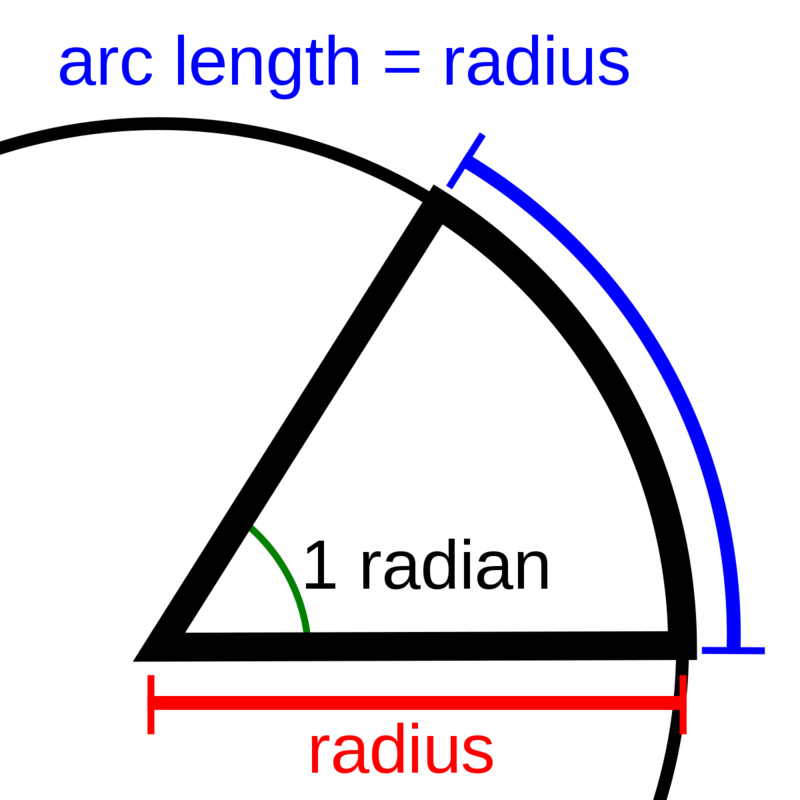 Radians are defined as numbers and do not have an attached unit, while degrees are defined with the ° symbol. Here are a few examples of angles defined using either radians or degrees. There is a simple conversion factor which can be used to convert between the two: pi radians = 180°. When it is set up as a conversion factor, it can be easily used to convert between the two different ways of measuring angles. James Thomson defined and named the radian in 1873. Thomson was a professor of mathematics at Queen's College, Belfast, Northern Ireland, and the brother of the famous physicist William Thomson, Lord Kelvin, who developed the Kelvin measure of temperature. A radian is approximately 57.3°.